Gina Martin is an inspiration and hero. In summer 2017 Gina was at a music festival when she became aware that a man standing nearby had taken a photo up her skirt of her crotch and was sharing the picture with his friends in the crowd. She grabbed his phone, despite him being quite a bit bigger than her, and ran to the police with it. She was horrified that the police told her that they could not do anything. 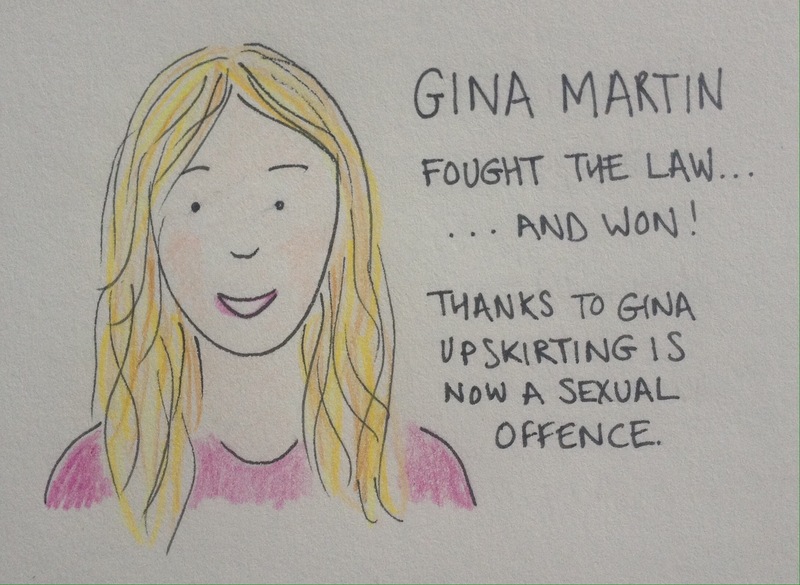 But, Gina didn’t give up, she started an online petition and began campaigning to make up-skirting a criminal offence. A few days ago a law was passed so that now ‘up skirting’ is a sexual offence in England and Wales. We have Gina Martin to thank for bringing about this well overdue law.